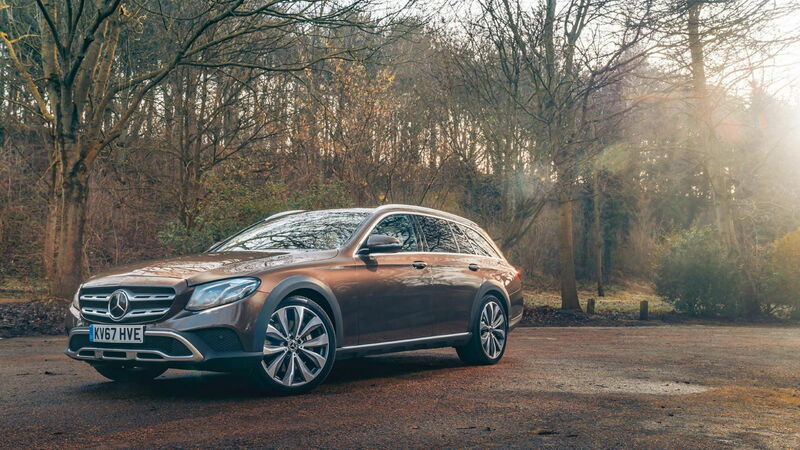 Slideshow: It’s time someone put an AWD Mercedes-Benz wagon to better use than picking up the kids and grabbing some milk on the way home. Sometimes, some things need to happen. The Reformation of Europe, the fall of the Roman Empire, Steve Carell leaving The Office. Other times, it’s better when things are left alone. With Top Gear's Project E-AT, we see one of those unique situations where it doesn’t necessarily need to be done. But darn it, are we ever glad that they did. 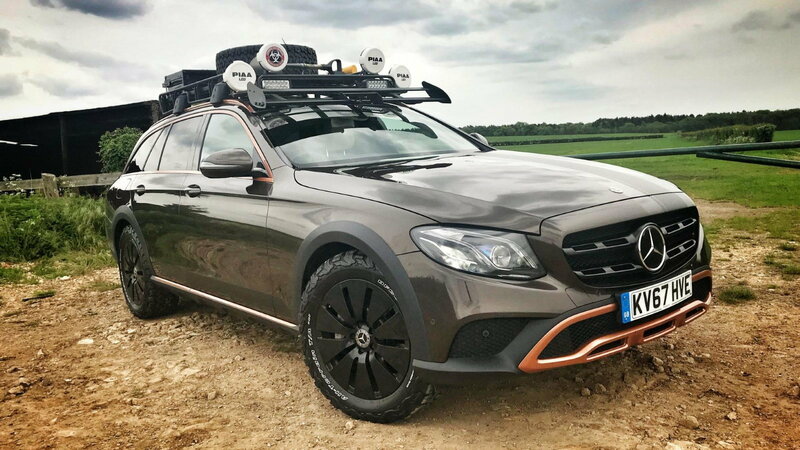 The goal of Tom Ford’s Mercedes E350d is to serve as a bear Hunting platform in the Alutaguse forest in Estonia, just west of the Russian border. One can say the roads there may be similar to those typical of our deep forest national parks, or modern-day Detroit. Nonetheless, a vehicle that can handle rougher than average terrain is needed. 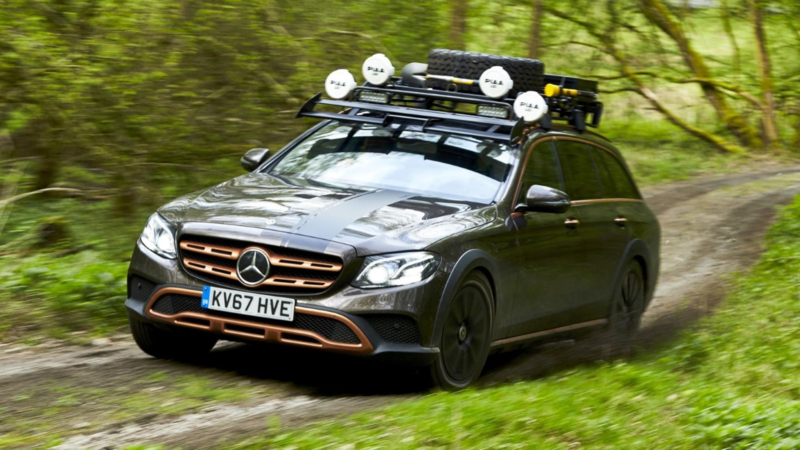 Ford decided to go with a Mercedes E-Class wagon for many reasons, most of which, as far as I know, have to do with its overwhelming reputation of bear hunting capabilities. 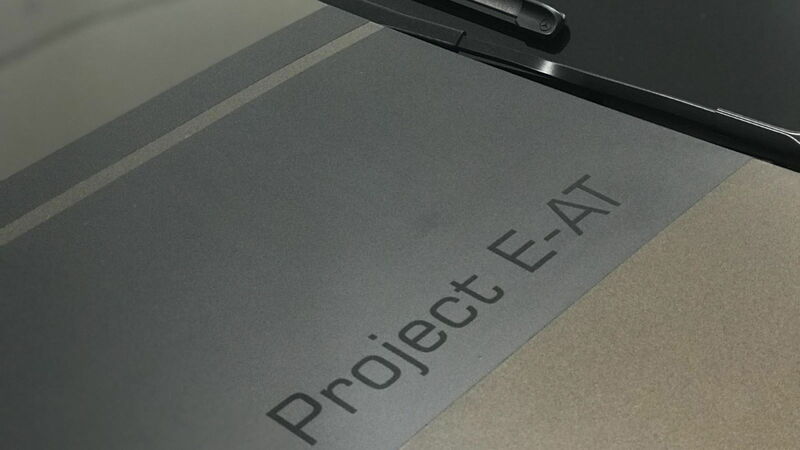 >>Join the conversation about the Project E-AT right here in MBWorld.org. 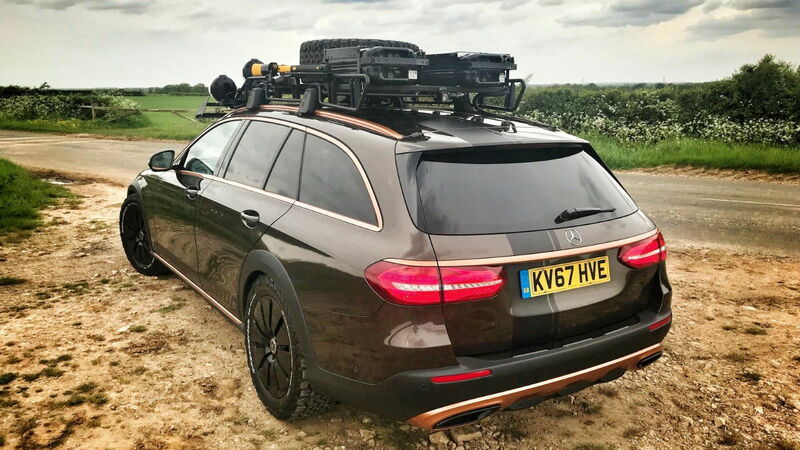 Despite being a Mercedes wagon, a stock E350d makes for a surprisingly good off-roading platform. 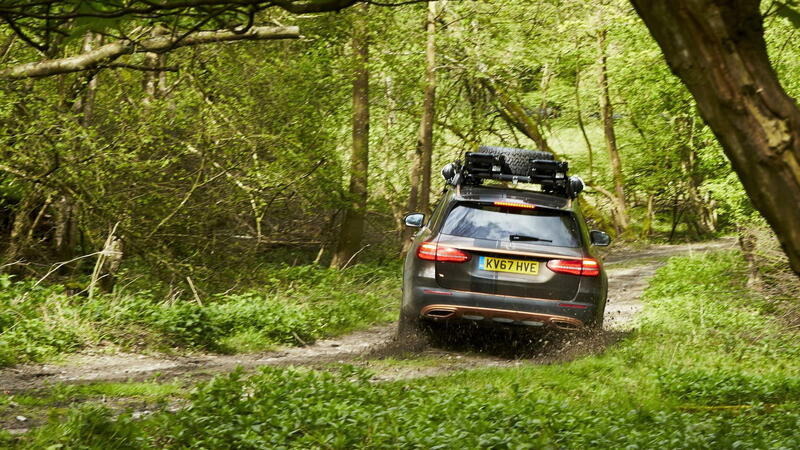 The standard AWD gives the four-wheel traction needed in slippery situations. While air suspension makes it possible to raise and lower the car, depending on whether you are needing cruising speed fuel-economy or off-road ground clearance. The stock suspension can raise itself 20 mm (0.78 inches), but with some coaxing and control systems trickery, some more clearance can be snuck out of the airbags. This platform makes for a solid ground start, however, the roads that Ford will be traveling will require more capability than that. Ford has turned this grocery getter into quite the bear machine. First came the wheels. From deep in a Mercedes catalog, Ford dug up aero wheels designed with taxis in mind. At 18 inches, they are smaller than the stock 20s, allowing for more sidewall on the BF Goodrich A/T K02 255/55/R18’s he fitted the car. BFG KO2’s, on a Merc wagon. Perfection. Next came the roof rack. As anyone with any hunting or off-roading experience knows, things can get a little dirty and tossing a muddy flat tire in the back of an E-class just doesn't feel right. 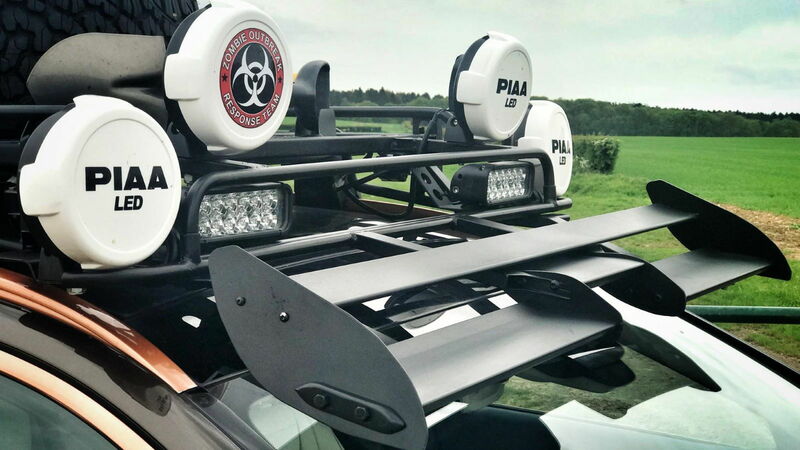 Juergen Eberle created a one of a kind roof rack just for this project. Strong enough to stand on, the roof rack has space and strength to take anything Ford may toss up there. Eberle also created a custom sun visor/wind deflector on the front, creating a one of a kind front spoiler to help deflect air over the rack. It’s worth mentioning the spoiler also is custom-made to comply with the Mercedes front-facing cameras. Ford also tossed a couple of extras up on the roof for safe measure. 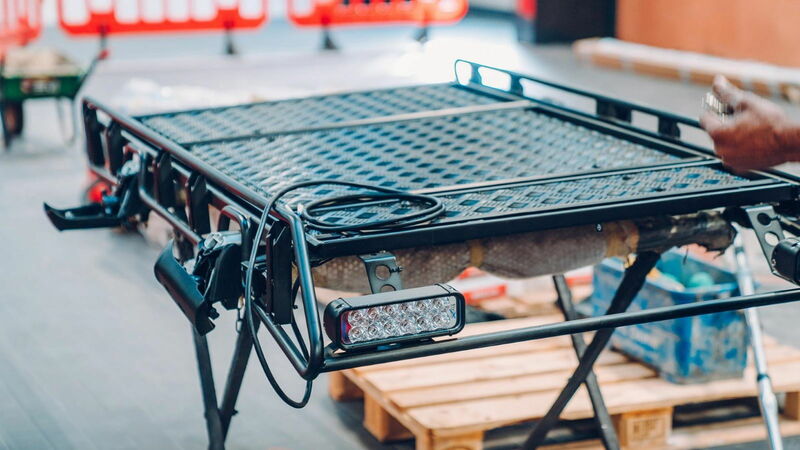 Lights all around help illuminate any late night or early morning trails. The four 180mm PIAA LED race spots mimic the early 70s AMG racer “Red Sow”. He also has a couple of spare wheels, pickaxe and mattock, tow rope, jack, and portable fuel cans. He also has an access ladder built into the rack itself. Simply to upstage even further, Ford sent Project E-AT off for some visual upgrades. Mission Motorsport provided a subtle off-centered stripe with “Project E-AT” snuck on in a couple of spots. They also had the chrome and brightwork painted a bronze color, the perfect accent color to the standard Mercedes color scheme. Due to the nature of his work, Ford clearly would be needing cameras and consequently more batteries than a Nissan Leaf. 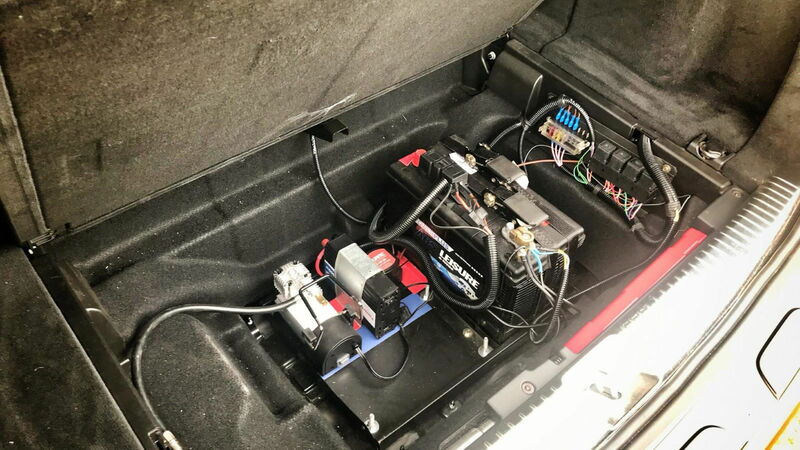 Tucked away into the underfloor of the trunk, a motorhome battery was fitted with a split charge system. This system can be used to charge multiple cameras at once, or the to power the portable compressor used for air pressure adjustments for their multiple inflatable pool toys he’s bringing along. Or at least that's what I can assume. I guess, he can use it to inflate tires as well, in a pinch.